Soca star Machel Montano kicked off his 20-city tour of the United States with American reggaton/hip hop star Pitbull on June 25 at “Live In The City” in Washington DC. 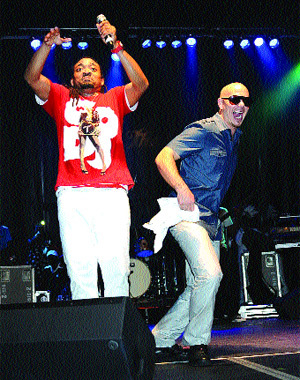 Machel and Pitbull left the crowd in a frenzy as they performs to screaming fans. “Live In The City” was held on June 25, featured Machel Montano HD & Friends @ RFK Stadium Festival Grounds “Live In The City” is a collaborative effort between MC Entertainment, Trends Concept, Gresham Events and Big Mountain Media. This was the first headline performance for 2010 as he did not perform during the Carnival season by Montano and the HD Family. The event also featured international DJs including Jugglers (T&T), Walshy Fire (Jamaica), Private Ryan (Miami), Foreign Bass (NY),Code Red(Orlando) and DC’s own Sprang Intl. 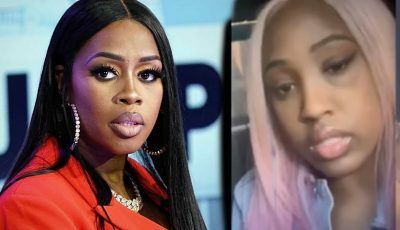 Montano’s tour ends in Milwaukee. After that, he’s off to tour Germany and Holland.